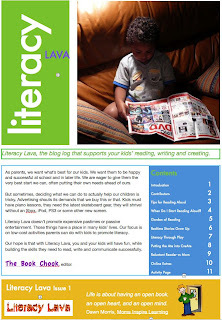 The Book Chook: Literacy Lava, Get It While It's HOT! Literacy Lava, Get It While It's HOT! Click to get Literacy Lava NOW! When Do I Start Reading Aloud? This post is my entry into The June Carnival of Education. This month, it's at Successful Teaching blog, which is a blog I enjoy for its thoughtful and useful posts.